Remember I said that over the summer I dyed LOADS of clothes? Well, this jumper is one of them! 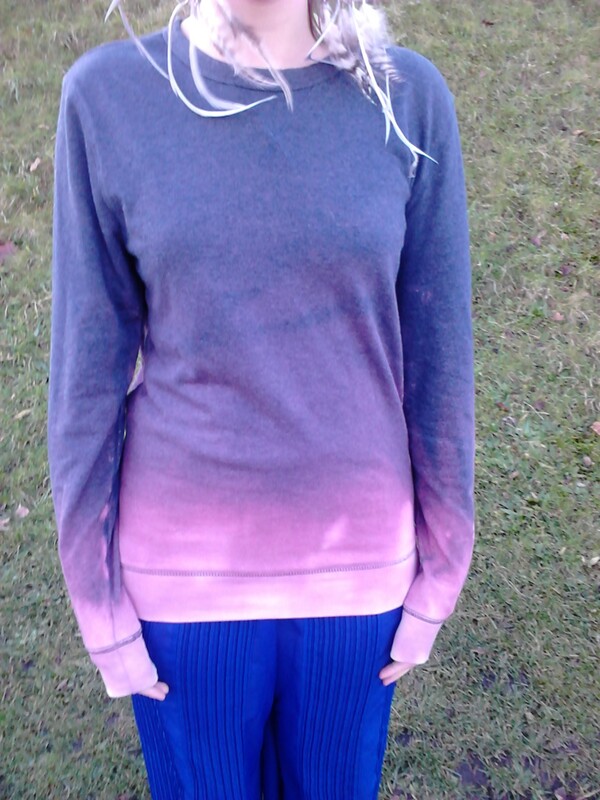 I kept seeing bleached jumpers in shops like Urban Outfitters, but they were so expensive, so I decided to make my own. This project is one of the easiest I’ve ever done. 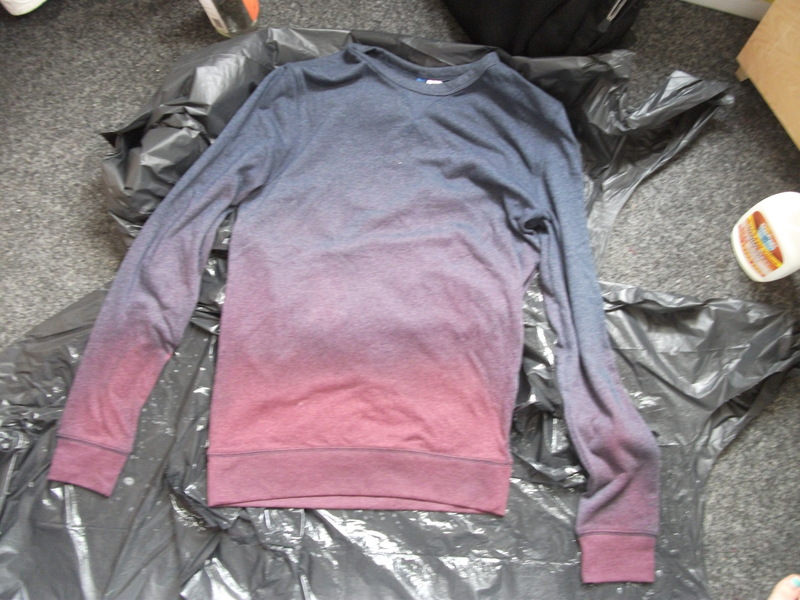 Step 2: Spray your jumper with bleach! 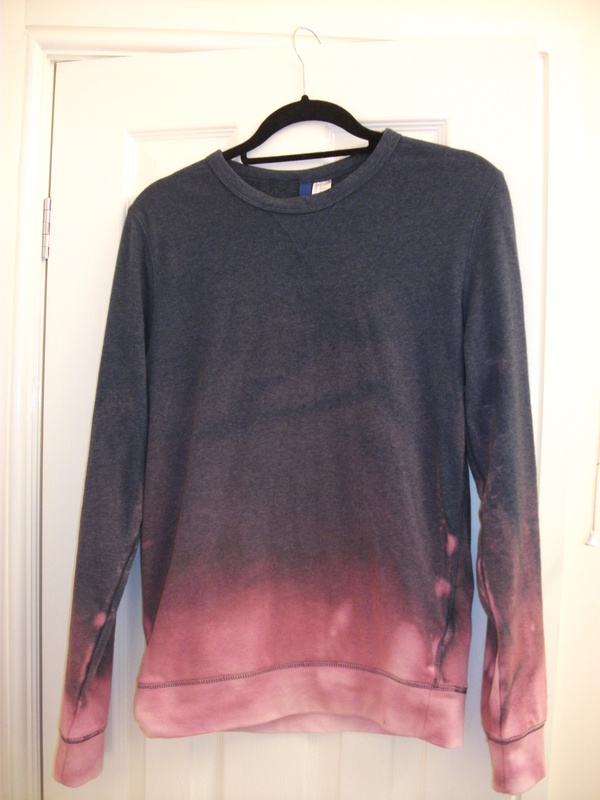 To get a gradual fade effect, spray bleach up to the middle of the jumper, but so that the further up you go, the less times you spray it. I did mine so that the bottom of the jumper was soaked. Then do the same for the back. Step 3: Wait for the bleach to develop (this usually takes a couple of hours) and then make sure you wash the jumper well before wearing it! And that’s it! I told you it’s super simple to do. Have you ever tried bleaching clothes? Great post!! I ‘m definitely trying this! oh, how cool, and so simple!! i want to do one now! Oh Topshop, why you making us so poor? Hehe This look is so cute! Oh my gosh you made this???? It’s beautiful! 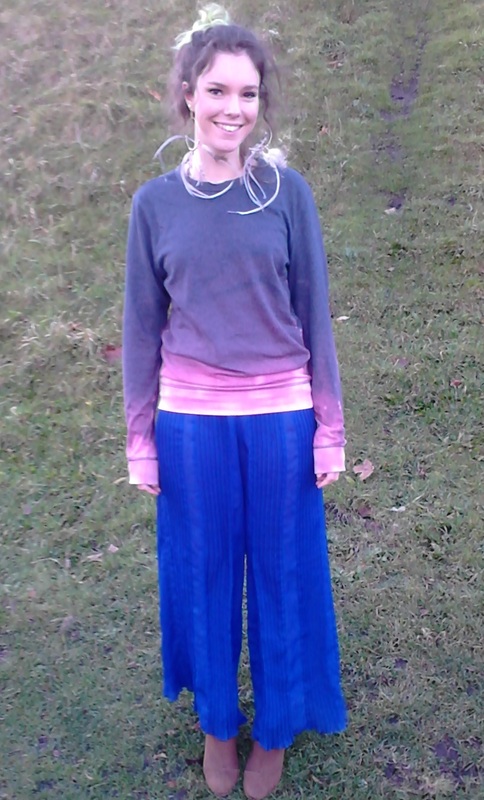 I love the colours it goes though – the pink into blue is a lovely combination! so simple and so effective, lovely. Woww! You are so resourceful and have great style!